Teresa and Danny's wedding is one of my favorites from 2014 and with good reason! 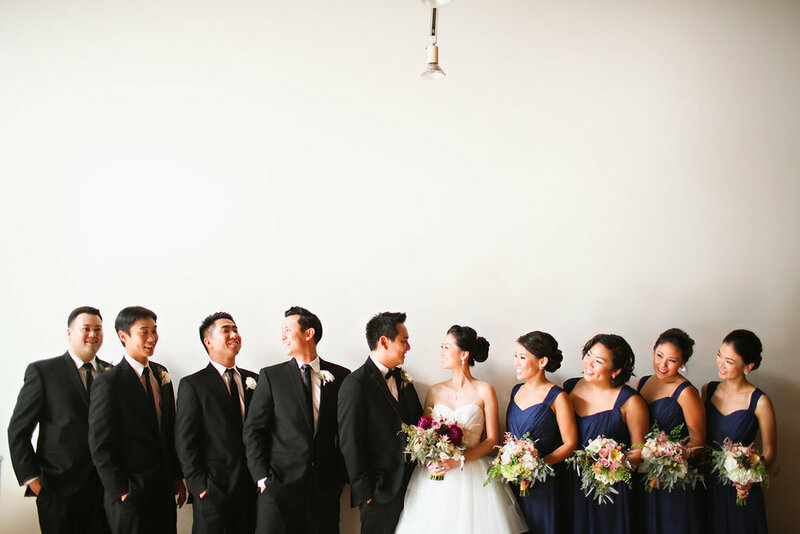 The beautiful wedding took place at one of Downtown Long Beach's newest and hip venues, the Loft on Pine, and was photographed by my talented friend and amazing photographer, Adrienne Gunde. teresa wanted an elegant look that matched the Fall season, so she opted for dark navies and deep purples paired with gold and silver accents to tie it all together. 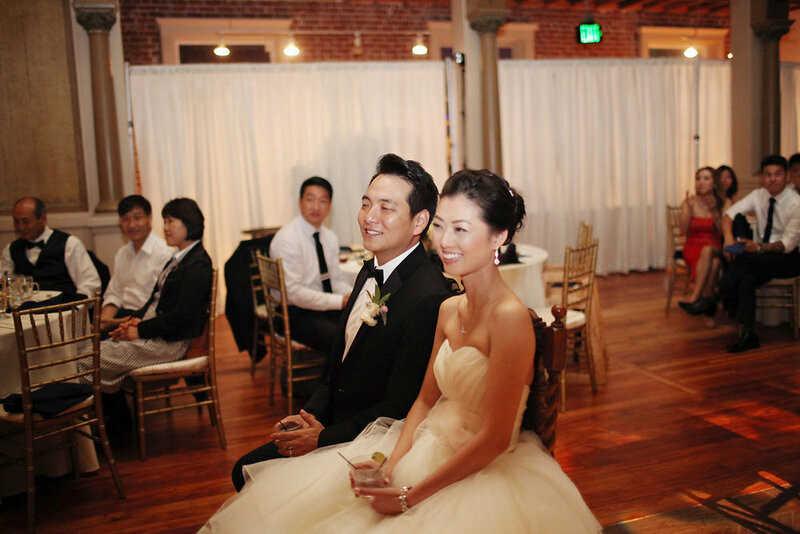 I have to say, i think her wedding dress was the best part of the entire day - the lush and soft dress was custom made and fitted by Dawn Kim of Atelier. Other highlights from the wedding included a traditional tea ceremony right before the ceremony, a live performance from a famous violinist during dinner, and a beautiful dessert station featuring treats from the one and only Donut Snob. When asked about her favorite part of the wedding, Teresa stated, "There's too many to list! We especially loved our guests' response to the beautiful and unique venue space that made everything just that much more gorgeous! 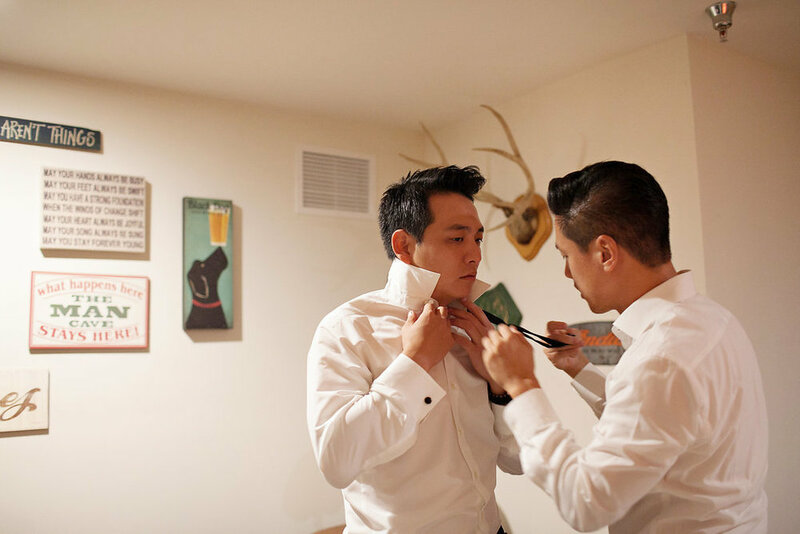 We loved the intimate moments we spent with our family, bridesmaids, and groomsmen getting ready for the wedding. I loved walking down the aisle with my Dad who unexpectedly almost made the whole room cry...and our personal favorite -- the dance party at the end surrounded by our closest friends and family!"